1In a large mixing bowl, beat the eggs. 2Add the milk, brown sugar and nutmeg stirring well to combine. 3Soak bread slices in the egg mixture until saturated. 4Heat a lightly oiled frying pan over medium high heat. 5Brown slices on both sides, sprinkle with cinnamon and serve hot. I think this is the easiest dish for a dessert. 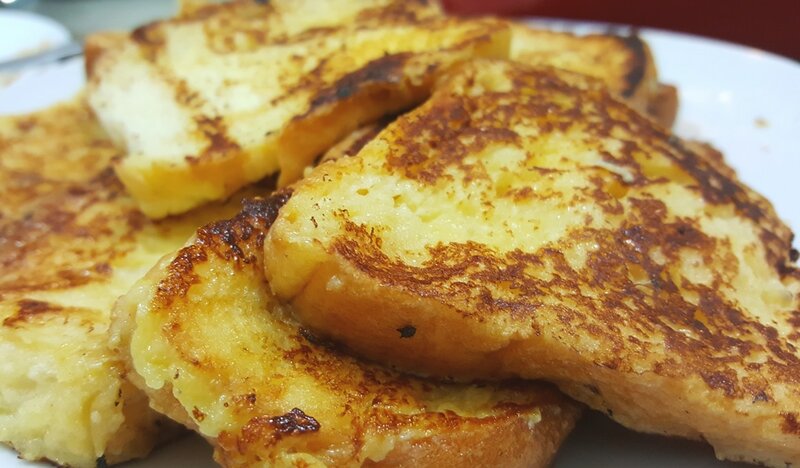 BTW: I like to call it roast paan instead of french toast.